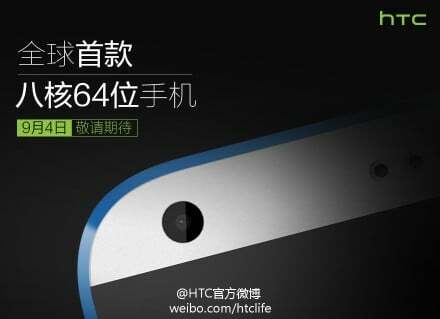 We had previously reported that the HTC Desire 820, which is expected to be announced next week during IFA 2014, will be the first smartphone in the world to feature an octa-core 64-bit processor with Qualcomm Snapdragon 615 SoC. According to a tweet from @upleaks, the device might also come one more variant which might feature a 64-bit quad-core Qualcomm Snapdragon 410 processor, just like the HTC Desire 510. The information regarding Desire 820 featuring the octa-core Snapdragon 615 processor came from China and there are high chances that it will launched only in the Chinese market while the rest of the world might get a quad-core version of Desire 820. I remember Qualcomm issuing a statement during the release of 64-bit SoCs that there is no special advantage of octa-core Snapdragon 615 over quad-core Snapdragon 410 and it is being released only for spec-wanting consumers in China. The HTC Desire 820 is said to feature a 5.5-inch HD IPS LCD screen, a Snapdragon 410 or a Snapdragon 615 processor, 1.5GB of RAM, 8GB of ROM, 13MP primary camera, 8MP secondary camera and a 2600 mAh battery.